For those people who have been flowing me for long time know that I pretty much stick to the same brow products in my case the fave one is Anastasia Dip-brow pomade, because my natural eyebrow hair is black and thick so due to the products thick consistency and that it is really pigmented it is perfect for my own use. When it comes to make-up artistry I would only recommend using this if you are really busy otherwise this can dry out as it is cream product and go to waste as well as it carries bacteria so it is one thing to keep in mind if using it to other people on daily basis as you need to depot it. 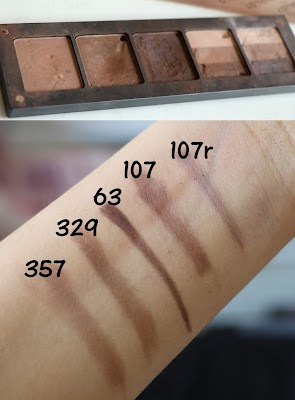 The Inglot brow gel is not near as pigmented or creamy as Anastasia one as well as it is tiny so I lost it for a long time and recently found it, as a product it is oky to use, I personally have to use loads of the actual product, this how ever can be perfect for someone who does not have that many eyebrow hair. 1 thing I've noticed this may not has as long as Anastasia's pomade if you touch your eyebrow or sweat more, you can set it with powder but then again what's the point using it if you have to set it. I would not recommend the NYX pomade at all, it did not stay on my eyebrows it starts wearing away and looks like gaps hasn't been filled in after few hours, as well as I do not like consistency of the product it is more like mouse. As I said before if you use cream products on clients, just remember to take good care of them and clean them or depot as the bacteria is easily carried around, another thing to think about it is worth for you purchasing them and will they not go to waste at the end of the day it is your money and that is how you are making it so you don't want to buy unnecessary stuff just because it may look good in your kit and throwing them away after when they are dried out. I know you can add Inglot duraline but in some cases if you add to much it may ruin the product as well. This Inglot pallet of eye shadows is what I use on clients.they are the colors I use the most and suit the people I work with, for everyone color range may be different and you can select what ever colors you need, that is one of the reasons why I choose to use eye shadows other reason they do not carry bacteria as much as cream does. 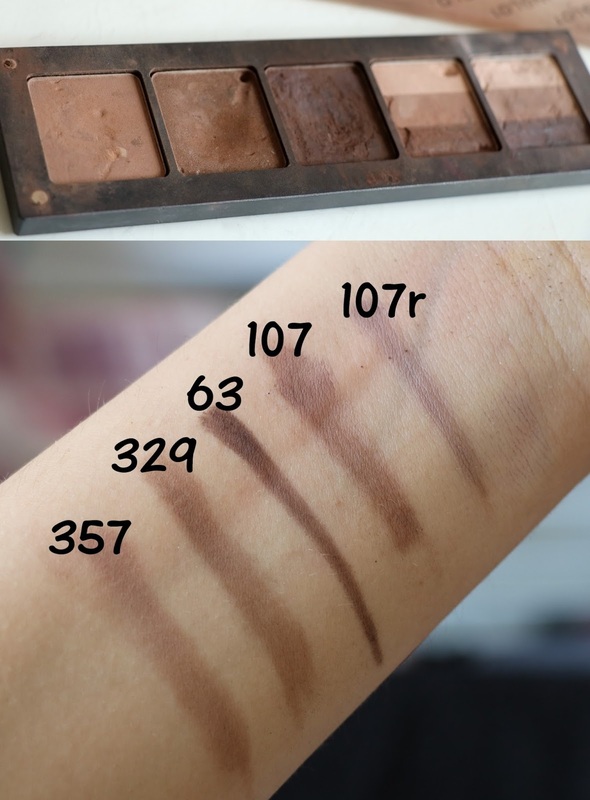 I always mix the colors together to get perfect shade , one thing I can say 100% keep an ashy color for eyebrows in your kit. For those who want the sharp lines and sharp brows it is really easy and simple to get it with eye shadows too, just spray your brush with fixing spray or water. Find me on other social media.